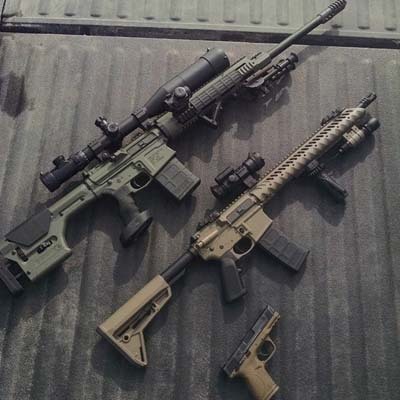 AR-10 vs. AR-15 – Which One Is The Best For You? Are you a gun collector or a sports shooter that needs a new rifle? A hunter or perhaps a law enforcer who is also a fan of AR rifles? Or just a gun enthusiast curious about the AR10 and AR15? Whichever category you belong to, you’ve come to the right place to find out more about these two rifles. In case you’ve already taken your pick but you’re second-guessing it, we’ll help you make your final choice. After all, we all know the confusion when it comes to picking a rifle. The doubts and indecisiveness are inevitable. Has any of these caught your interest? Good. So now just relax and read on. Before getting deeper into the comparison of the two rifles, we can easily see the obvious similarities when it comes to style. That is due to the fact that both AR10 and AR15 have the same creator — ArmaLite company. In addition to being closely related, the two rifles play an important role in each other’s development. More precisely, their mutual predecessor is the AR1 — the first assault rifle ArmaLite developed and produced. 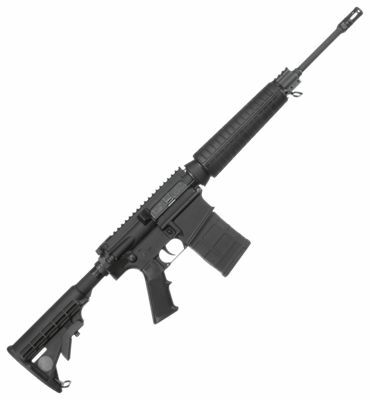 In terms of chronology, the AR10 came to life first, whereas the AR15 was a result of an upgrade. Namely, after downsizing the caliber and rifle, the latter was created. Despite sharing the same origin, each rifle possesses delicate features that distinguish it. Knowing them will help us decide which to use in a particular shooting situation. Both rifles are great choices for new firearm lovers, and they are also fantastic for experienced shooters. However, that can, more often than not, baffle those looking for high-quality rifles. So, let’s try to make things clearer in the following paragraphs. To those unfamiliar with guns in general, the AR10 and the AR15 may look quite the same. In fact, they could go even further and describe the AR15 as a smaller version of the AR10. Don’t take it as an insult — they don’t know better. When comparing the two rifles in terms of looks, even an amateur observer would first notice the difference in size. Let us elaborate. 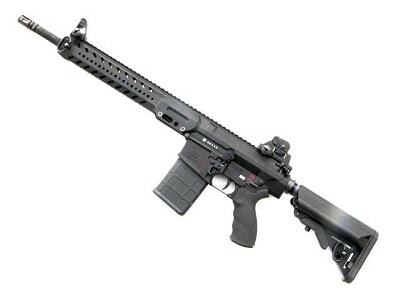 In overall length, the AR10 is 1.029 meters, or about 42 inches, long. 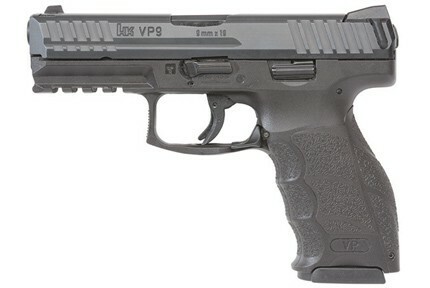 Its barrel length is 0.508 meters or slightly less than 21 inches. The AR15 measures 1.006 meters or 39 inches, with a barrel 0.508 meters long, or approximately 20 inches. The apparent 3-inch difference can be an advantage for the AR15. It is because of its length that the rifle is usually preferred over the AR10 for tactical purposes or in close combat. However, this surely does not mean that the AR10 lacks in design, especially as the AR15 has kept many of the best features of its predecessor. Since the other parts of the design are barely different, we can conclude that the AR10 was created with hardly any need for improvement. When we compare the rifles with their contemporaries and similar firearms, we can see that they both share the advantage of being lighter. 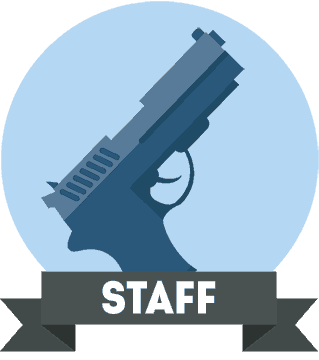 What’s more, the lightness makes it possible to carry more ammunition with both types of rifles or add more gun accessories. But what if we compare just the two of them? With only a slight difference in size, it would be quite natural to assume that the weight of the rifles is also similar. That is correct. Another assumption would be that, in terms of lightness, the AR15 rifle would win this round as well. And that too is correct. To get to the point, without magazine or ammunition, the AR10’s weight ranges from 3.29 to 4.05 kilograms, or 7.25 to 8.9 lbs. As its lighter version, the AR15 weighs between 2.2 and 3.9 kilograms, or 5.5 to 8.5 lbs, depending on its configuration. 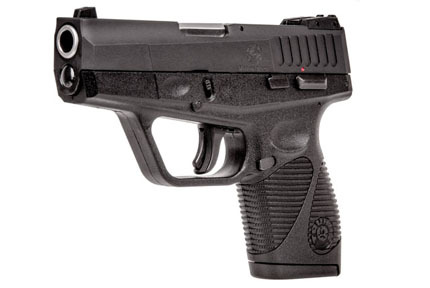 That’s very appealing when we need to carry the firearm around for an extended period of time. And what makes them so light? It’s the alloy made from lightweight metal and glass reinforced plastic. When the AR10 was manufactured, it was the key to its uniqueness. Thus, the same was used for the AR15. Accuracy and reliability of a rifle are debatable topics. Some would say that these factors mostly depend on the shooter. But let’s see what else is there. The AR10 uses either a Winchester .308 round or the standard NATO 7.62mm round. Furthermore, due to their higher mass, the AR10’s calibers store more kinetic energy, which causes higher knocking power. For the AR15, we need a Remington .223 round or a 5.56mm standard NATO round. Since they are smaller and lighter, the AR15’s bullets travel faster and longer distances. However, their one-shot stopping power is lower than that of the AR10, which makes the rifle slightly less reliable. Fire rate: In the semi-automatic mode, the AR10 can fire about 40 rounds in less than a minute, whereas the AR15 fires almost 60 rounds. The standard cartridge clip the AR10 comes with holds 20 rounds, while the AR15’s clip contains 20 to 30 shots. 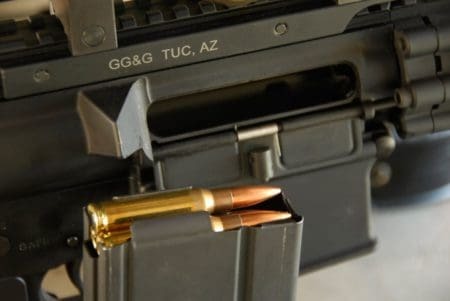 Muzzle velocity: Both rifles use an advanced system of gas impingement for increasing the fire rate and muzzle velocity. The AR10 creates a velocity of about 2,700 fps. As for the AR15, it can reach over 3,150 fps. Therefore, the combination of the high fire rates and increased muzzle velocity gives the AR15 an obvious advantage over the other rifle. Effective range: Without a powerful scope attached, the AR10’s effective range is about 600 yards, whereas for the AR15, it’s between 525 and 600 yards. However, with a good scope, the range can increase to around 1000 yards for the AR10, and to around 800 yards for the AR15. Shooting situation: Due to its effective range, the AR10 is a better choice for long-distance shooting and is especially reliable in hunting. Also, the lightness of the rifle is an important factor when it comes to accuracy and reliability. The mixture of these two and its firing power gives AR10 an advantage over the AR15 when hunting large game. Of course, we can use the AR15 for hunting as well, but only for a smaller game. On the other hand, the AR15 shows better results and higher reliability in tactical situations and as a defensive weapon. Since it weighs less than the AR10, it’s easier to maneuver it. Furthermore, with its higher rate of fire, it consequently has better results. To sum up, both rifles are practically equally reliable and accurate, and without any negative points. They are of high quality and offer various advantages to the user. By now, the choice should be clear. There is just one more thing we need to add, and unfortunately, it could be a deal breaker. Yes — it’s the price. When it comes to the price, there aren’t any surprises. The general rule is: the better the rifle, the higher the price. So we need to think about what we need and what for. We should be clear and precise in expressing our desires as the prices can range up to thousands of dollars. More precisely, the AR10 rifle can cost between $900 and $8000. With additional accessories and add-ons, all packed into a case, the latter is the amount we need. For the AR15, the price ranges from around $500 to $3000. And this is not a surprise. As it’s smaller and lighter, it’s expected to be cheaper. However, if there isn’t any rush to buy one just yet, we should take our time and do some research. There are always discounts and good deals worth checking out. With a little bit of luck, we can find the AR10 for as low as $670 and the AR15 for less than $300. As we’ve already mentioned, the choice reflects our needs. When hunting for bigger animals, the AR10 will serve us well. However, for home protection or when hunting for smaller animals, we advise going for the AR15. Either way, whatever the choice, there will be no regrets.